How perfect is this?! I love this idea of making just one single cupcake! Hope you continue feeling better and are able to take it a little easier this week. Hope you feel better soon. Love the cupcake. I would love to be able to make a single cupcake because then I wouldn’t eat 5. I must admit that I don’t really watch a lot of chick flicks although when I was pregnant I seemed to watch a million of them it was pathetic really but I needed it lol. Josh Duhamel is hot that is all I’m going to say. I hope you feel better soon, and you should totally embrace the mindless romantic comedy sometimes we all need mindless fluff and a single cupcake. You poor thing – I can’t imagine. Lyme disease can be just awful! Hope you’re feeling a little better and that your one cupcake at least made you feel mentally better. Hope you are feeling better! I am sure this cupcake helped a little! 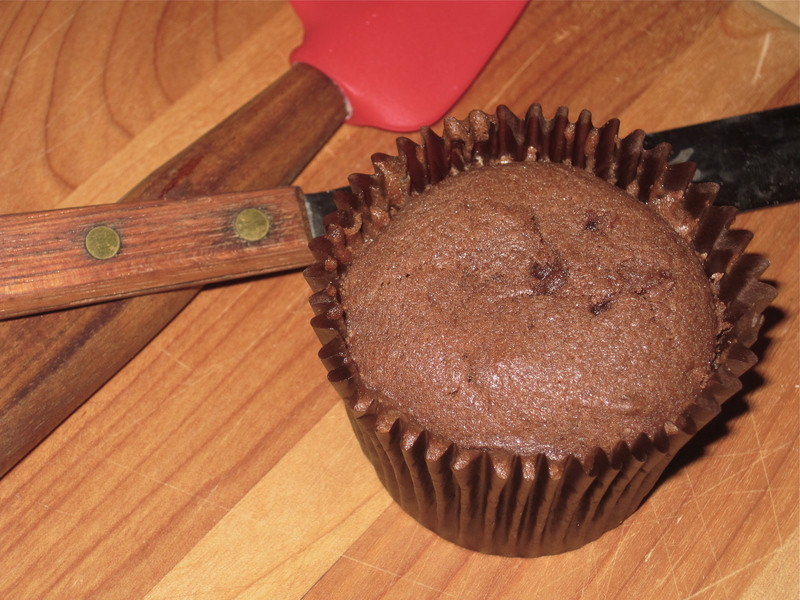 I love that you reduced a recipe to just one cupcake. I usually require at least 2 :) Hope you are feeling better! This would save me from myself every time I get that craving for something sweet. I need to keep this in mind. I’ll double it so I don’t have to share with my little girl- I mean so she can have her own! 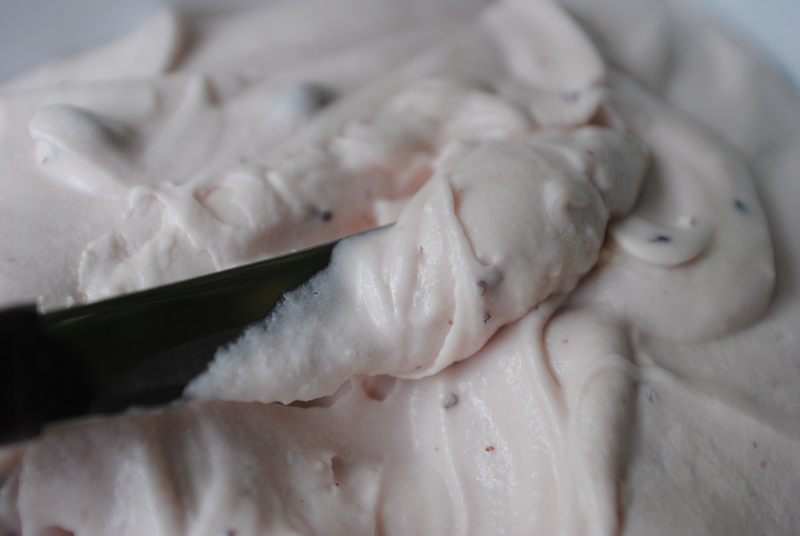 Vegan cream cheese black currant frosting?? I gotta have it! !